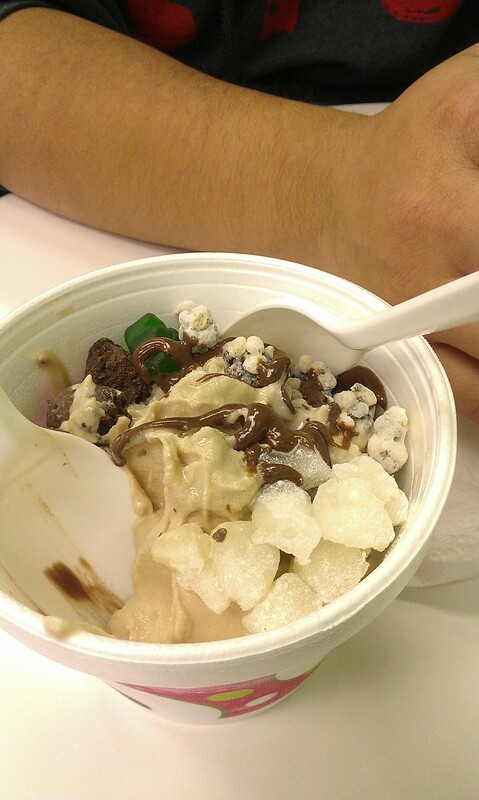 Sweet Frog is just… okay. 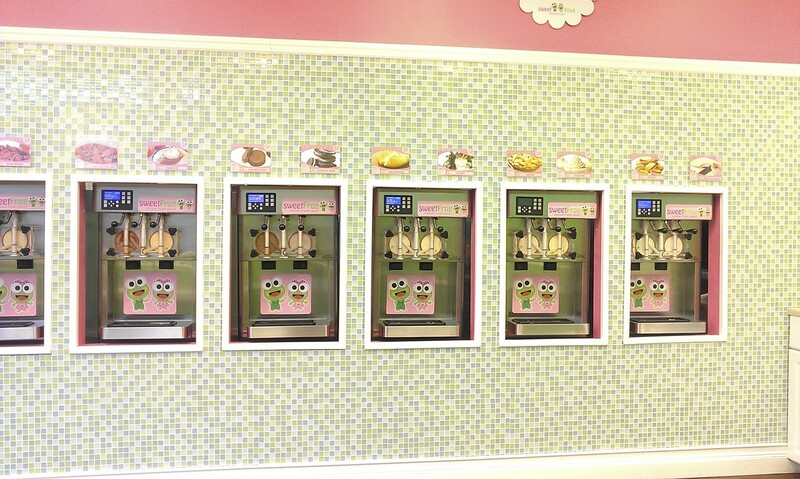 It’s just another frozen yogurt place, but it’s nothing to go crazy about either. They have a wider variety of yogurt flavors than Red Mango, but they weren’t necessarily better. We were able to test all the flavors, but none really stood out to me. The toppings were okay, but they didn’t have any fresh sliced fruit! I was really surprised by this! Those are the most important topping for a healthy junkie! The texture of the yogurt is not as smooth as Red Mango’s and can be bit more watery. This place is good for a quick fix if you’re in need of a frozen yogurt, but I probably would still go to Red Mango.